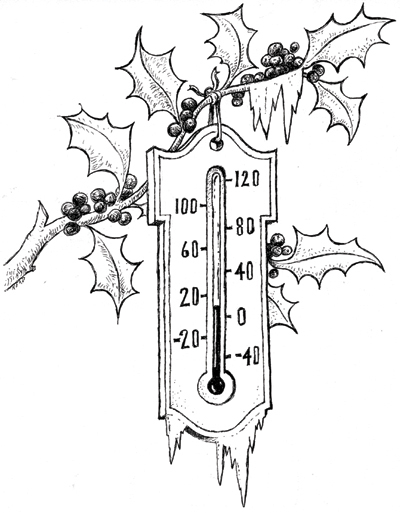 I was at a Christmas party on Wed., Dec. 22 when someone commented about the weather, which was cold even for Christmastime, and added that a heavy freeze was on the way. She wasn’t wrong. But the next morning an icy mass that didn’t come from the polar north, but from Texas, rumbling across the state like a stampeding cattle drive. By late morning that day the city issued a directive that since the roads would be icy, everyone should go home immediately. That led to thousands of people, who might have left work at their own pace, instead leaving at the same time. Few were familiar with driving on ice. The entire city was locked in a traffic jam made worse by vehicles sliding off the streets. That night the temperature plunged into the 20s, causing pipes to freeze throughout the region. Meanwhile around the world there was more adventure, actually one of the biggest stories of the decade. Communism was collapsing. In Romania Nicolae Ceausescu, one of the last of the Communist despots, and his wife were captured, tried and shot by a revolutionary firing squad. Fa la la. You might think that one tyrant going down during Christmas season would suffice. Not so; in Panama U.S. forces cornered strongman boss and drug dealer Manual Noriega, who spent Christmas week hiding in the local Vatican consulate. He was captured on Jan. 3. Locally, on Christmas morning the most popular man in town was a plumber, if you could find one. As the temperature rose and the ice started to melt, water began to spray from all the cracked pipes. This wasn’t a cheery Christmas at all, and it got worse. Also on that Christmas Eve, there was an explosion at an Exxon refinery in Baton Rouge. One person was killed. At times like this we needed Christmas more than ever, though this one was a little raw. There were still the trappings that the season brings, including the music – a white Christmas is desirous but not an icy gray one. That New Year’s Eve Alabama played in the Sugar Bowl, a true sign of a return to normal, but not totally. The Tide lost to the University of Miami. Life went on, but if there was any solace, at least we didn’t have to worry about Communism anymore. Maybe now there could be peace on earth, or at least a silent night.